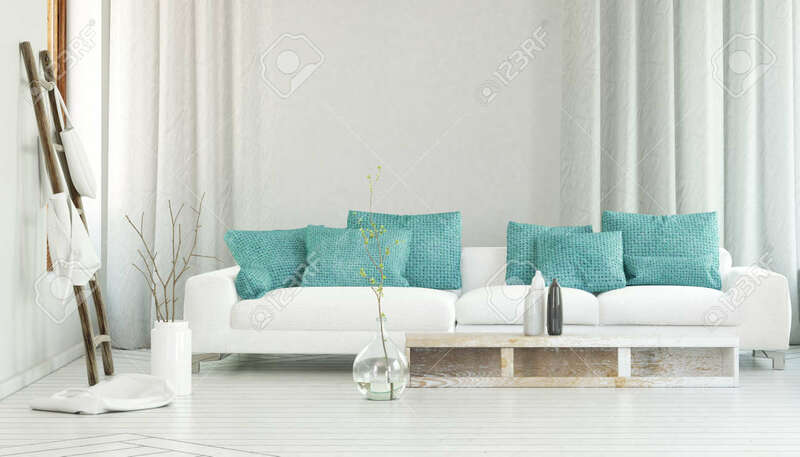 Wide White Sofa Decorated By Turquoise Colored Pillows In Between.. Stock Photo, Picture And Royalty Free Image. Image 56003841. Stock Photo - Wide white sofa decorated by turquoise colored pillows in between flowing curtains and large glass vase with branches. 3d Rendering. Wide white sofa decorated by turquoise colored pillows in between flowing curtains and large glass vase with branches. 3d Rendering.